Summer! It's that time of the year when we have bbqs and cook outs. One of my favorite is the bbq ribs. Now, I don't do the grilling. My uncle comes over and cooks for the family. 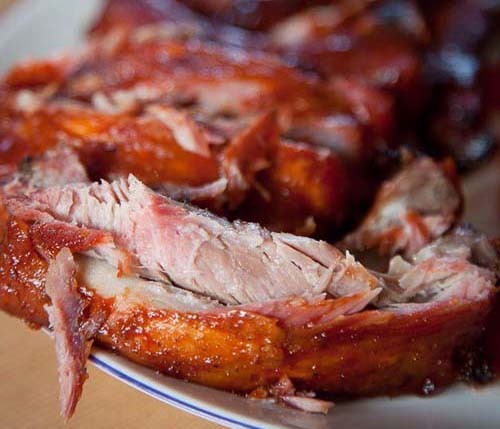 My role is to prepare the ribs so that it is so tender that the meat practically falls off the bones. At least, that's how I like my bbq ribs. I prepare the ribs a day ahead of the bbq. So if the bbq is on a Sunday, I'd get the ribs ready sometime Saturday afternoon. What I do is simmer the ribs in a large pot of water mixed with salt. I simmer the ribs for about 1.5 to 2 hours. I then marinate the ribs in large bowl with bbq sauce overnight. You can use any bbq sauce. Just make sure that the ribs are amply soaked. Most of the time, I use two full bottles of bbq sauce as marinade. Tender barbecued baby back ribs. 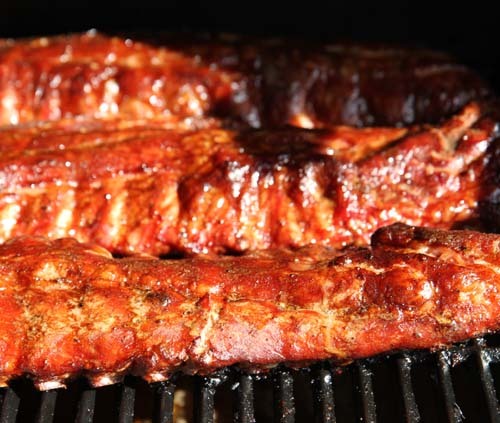 When my uncle shows up the next day, the ribs are well prepared to be tender with rich bbq flavoring. We then serve it with salad, mash potatoes, french fries, baked potatoes, or rice. Makes a fun summertime meal.